We all know that time, when the kids first get home from school, bags and papers everywhere, kids usually saying they are hungry, some wanting a break, some having activities to go to; it can become a chaotic time. How can you make the after school time run more smoothly? 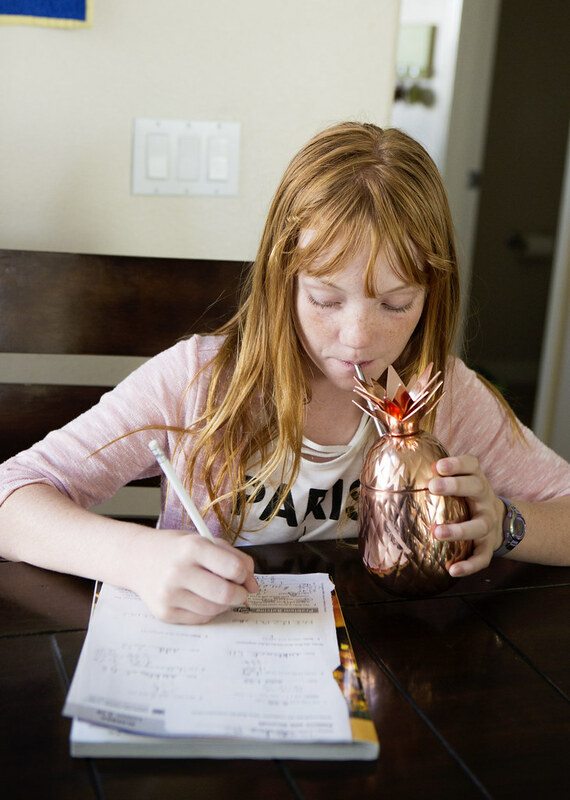 Here are my tips for making the after school routine a little more pleasant. As a parent our lists are never done, but when our kids get home, wanting to tell us about their day- we need to be available to listen. Taking even a few minutes to sit and talk to your kids when they first get home can make a huge difference. -Those pile of papers that the kids bring home, some which can be thrown away, some which need to be saved, some which have to be filled out and returned to school- what do you do with all of those papers? -You should have a designated "In-box", a spot where all of those papers can be placed, that when you have a few minutes you can sit and go through. The key is to go through this in-box nightly, or while your kid are having a break, and work through the papers until it is empty, otherwise things will get missed. Some kids truly need a break when they get home, a chance to unwind and decompress. Others do better if they get right to homework while still focused and then play. You are the best judge of your own child and what they need, the key is to be consistent. If they have a break, a time limit needs to be established. If they are going right to work, there should be a spot ready for them to start their homework. The key is consistency. Dinner can sometimes seem a long ways off after school, and after a day of hard work they often are truly hungry and thirsty. The key is to give them healthy snacks, but not too many as you want them to still eat a good dinner. 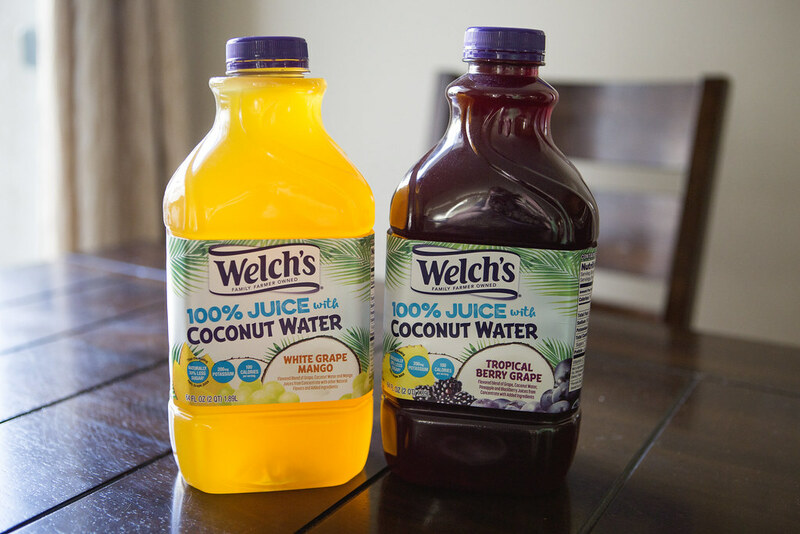 I am so excited about Welch's BRAND NEW product, 100% Juice with Coconut Water. 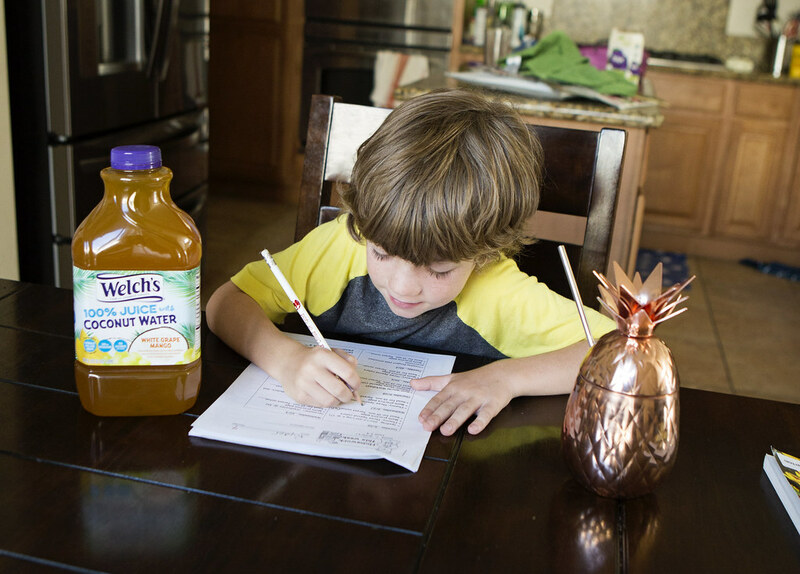 This new juice has 30% less sugar with these other great benefits. 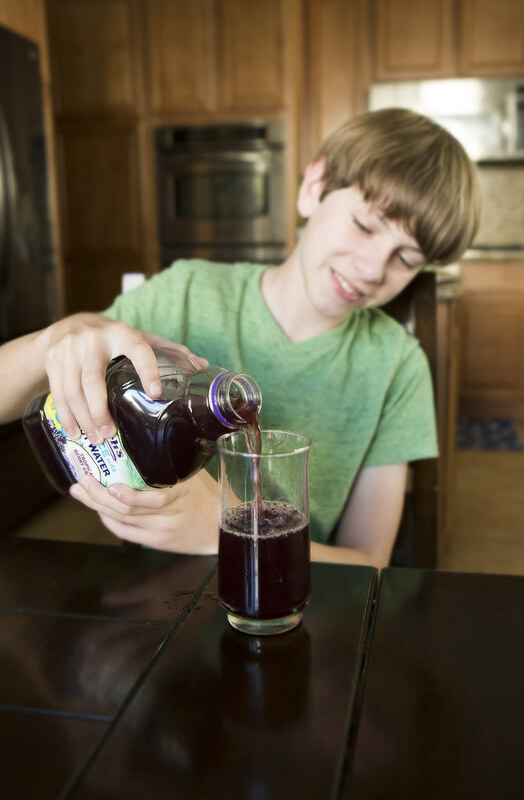 My kids, especially my boys, aren't always the best fruit eaters, but a glass of Welch's Grape Juice is 2 servings of fruit, so I feel good knowing I am getting a little more fruit in them this way. Now I know I am refueling them, letting them have something they love and can feel good doing it. 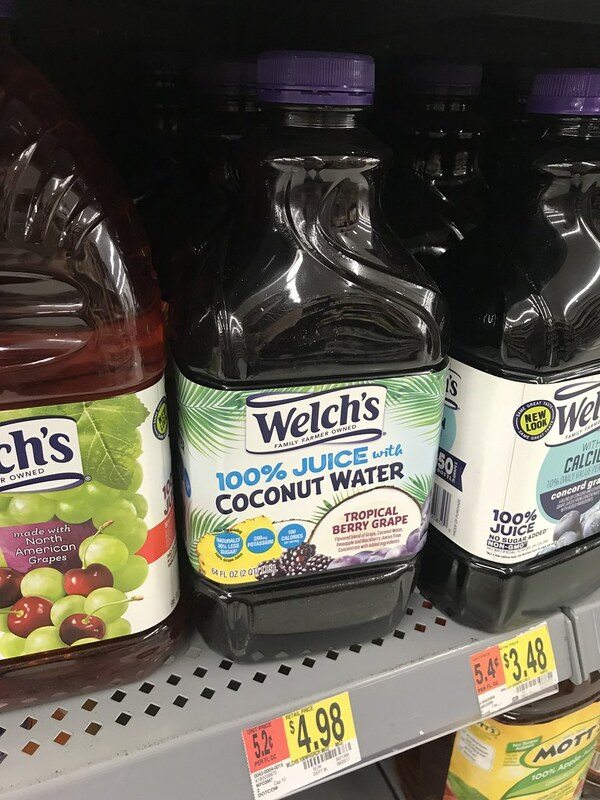 I found the Brand New Welch's Grape Juice at my local Walmart. Every afternoon is definitely not perfect, but with these tips things can run a lot more smoothly. 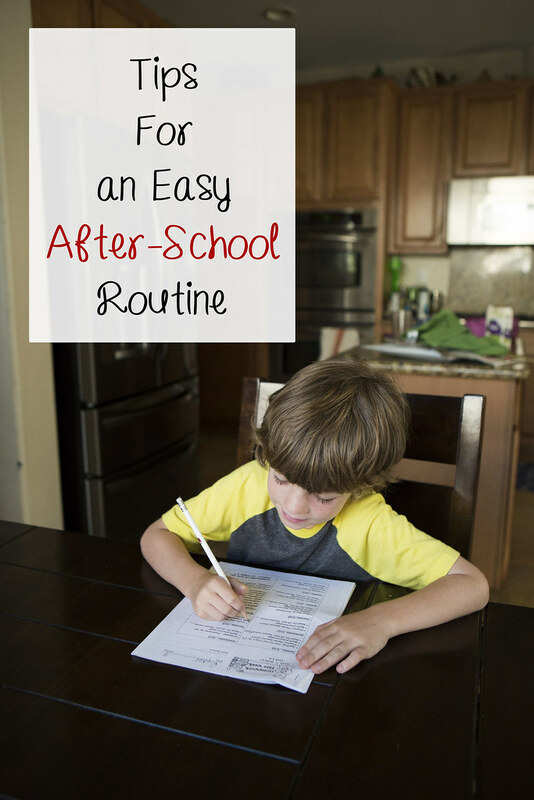 What is your best after school routine tip? Coconut water is so good! I love it. This juice sounds so delish! Love those pineapple cups too. Coconut water is SOO good for you! These tips are great! My little one isn't old enough for this yet, but I love the idea of this kind of routine for her when she is.